Most of the garage door’s weight is carried by springs, which makes them susceptible to wear and tear and vulnerable to damage over time. If a broken or weak spring is left unattended, it can cause some serious damage to you and your property. This is why, you need the help of professional garage door servicemen to look after your garage door springs and tighten, repair or change them as and when needed! 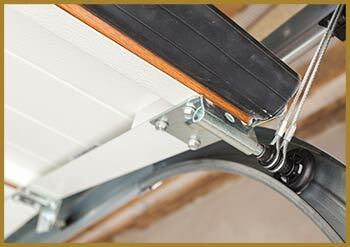 Springs are chosen based on their ability to handle a garage door’s weight, size of the door and load distribution. If a rookie or a novice mistakenly overestimates the spring’s capacity, then that could lead to some serious ramifications down the line. That is why we always suggest taking the help of a garage door expert and you can find them nowhere else but at United Garage Doors. We have been assisting the Mesa, AZ community by providing outstanding garage door repairs and other services for over than a decade now. The new arrivals in the industry, Torsion Springs, are modern counterparts of extension springs and are generally considered to be a lot safer. The entire torsion spring system comprises of a firmly bound spring over a shaft with sturdy cables running through a set of drums. As the door gets is heaved up, the springs release their pent up energy into the cables which translates into a lifting motion. And even if the springs break down in the middle of the process, the door doesn’t come crashing down owing to the cable positioning, which makes this setup a safer option. For this reason, torsion springs are used more extensively, be it in a simple residential garage door that has less than two springs or the more heavy duty ones used in industries where multiple springs are used. 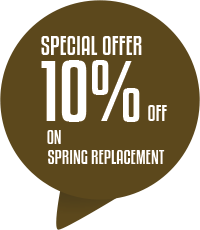 However, the kind of spring to be used, the numbers or the size of springs can be determined only by a skilled garage door technician. 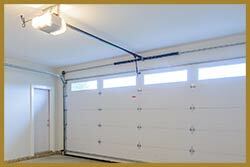 So, it is a wise choice to discuss with a United Garage Doors professional and get the right springs installed for enhanced safety. Extension springs work on the age-old scientific concept of expansion/contraction. The springs have an extensive load bearing capability and are widely used for the same. When a garage door is closed, the spring inside stays in its usual state of expansion, but then it starts contracting when the door begins to move up to open. The springs take up enormous force and weights, and that is why they must not be dealt with by a novice or a rookie. If a worn out spring blasts out of its joint, it will release its stored energy and can bring about heavy damages to you or your property. Extension Springs are inexpensive but they demand timely upkeep to assure you of proper operation at all times. 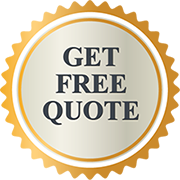 With United Garage Doors you will receive the answer for all of your garage door maintenance, replacements and repair requirements.